LQD is an inventory management company that specializes in high-end markets, especially with luxury appliances and plumbing fixtures; primarily for the kitchen, bath, laundry, and outdoor BBQ areas. We deal directly with well-respected manufacturers where we manage their returned, overstocked, displayed, discontinued products. We also work with retailers and distributors, purchasing bulk amounts of product and re-sell it for a discounted amount through different online marketplace. 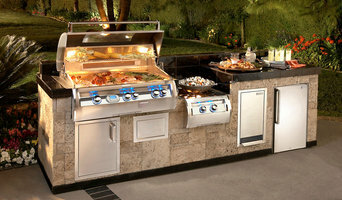 For over 50 years, Pacific Sales has been a source for quality brand name appliances, and kitchen & bath fixtures. Our unbelievable selection and superior product knowledge have made us a source for builders, contractors and designers--as well as a one-stop solution for consumers looking to save time and money. Starting with 14 stores in California, to now over 200 nationwide, we’ve maintained the same pleasant, no-pressure environment for our customers. Because our expert staff does not work on commission, you'll get honest, accurate advice every time, just like when we first started. Visit one of our showrooms today and see for yourself. We are also located inside select Best Buy stores. Come visit one of our 200+ locations, Tuesday-Saturday, 10am-6pm. Once upon a time... It all began with the heart of the home: the kitchen. Way back in the fabled 1980s, Friedmans was a friendly little retailer specializing in that exciting new kitchen appliance: the microwave oven. Expanding into other kitchen appliances and bathrooms followed. So did attracting some really good people to work with customers. (We’re honored that some of those good folks are still sticking with us after 30 years.) Fast forward to today, and Friedmans Home Experience looks different. It looks like a 26,000-square-foot powerhouse superstore. But inside here, it’s still a friendly little place. There are intimate spaces that look like home. And inside those homey little spaces, we work with friends. People like you. And we love it. It might even be symbolic that all this started with kitchen appliances. The kitchen is where home happens. People thrive. They enjoy. They live. They love. They get fed. Friedmans Home Experience is about more than just the big box. It’s about a family serving families. Friedmans Home Experience is about you. 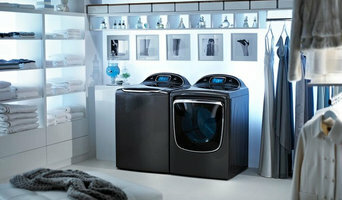 Our company was founded to create convenient & affordable home appliances. 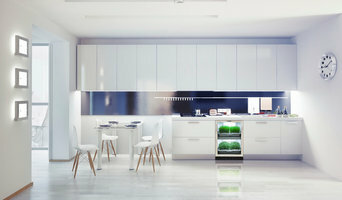 Intelligently designed & developed for space conscious areas. Our product lines undergo continual research and testing. The Hestan team spent years working alongside America’s most celebrated chefs, reinventing their kitchens with award-winning innovation. Now we’ve reimagined yours. More power. More control. More inspiration. Hestan was built to meet the needs of the most demanding chefs. And we count you foremost among them. Our new residential line of products will be arriving in United States and Canadian showrooms this summer. 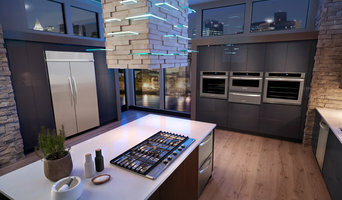 Find a dealer: <a rel="nofollow" target="_blank" href="https://home.hestan.com/find-a-dealer/">https://home.hestan.com/find-a-dealer/</a>. Find us @HestanHome on Facebook, Twitter, Instagram, Pinterest and YouTube.